Your son or daughter’s first dental experiences need to be positive: filled with fun and encouragement. We know these first visits influence your child’s attitude toward dentistry and taking care of their smile for the rest of their life. Everyone at Child’s Play Pediatric Dentistry understands this and strives to provide a safe, entertaining, and supportive environment. Dr. Lisa Coveney, Dr. Geoffrey Grant, and Dr. Lori Lee Santos are experienced pediatric dentists. They treat each patient as their own child: with compassion and empathy. They talk with children in terms the child understands, to teach each one about his or her oral health and how to keep the smile in great shape. Our team members are just as devoted to providing nurturing, supportive care. They will ensure each visit is one your youngster enjoys. 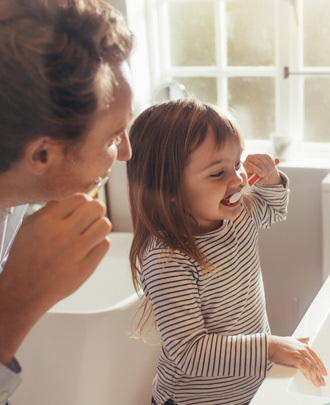 Offering a safe environment, where each child’s natural curiosity and desire for independence is encouraged, helps everyone develop an understanding of their oral health. We’ve created an office that is inviting and child-friendly. Kids love our jungle theme and even the shyest and most reluctant patient soon brightens with interest at our décor. Understanding that some children fear the unknown, we will take time to show your little one around our treatment area. We’ll explain the various equipment and tools we use and encourage your son or daughter’s questions. Before we start any procedure, we’ll talk with your child about what we’re going to do, why we’re doing it, and what to expect. We know that by making everything familiar and understandable, we will help to make your child feel more comfortable. Our practice offers several types of sedation dentistry for our patients: nitrous oxide (also called laughing gas), oral sedation, and general anesthesia. It’s always our goal to have children awake and enjoying themselves during treatment. But we also know that it can be difficult for a youngster to sit still for a longer procedure. If a child is particularly stressed or anxious, sedation is a safe option to help her or him through the process and emerge with no negative memories. 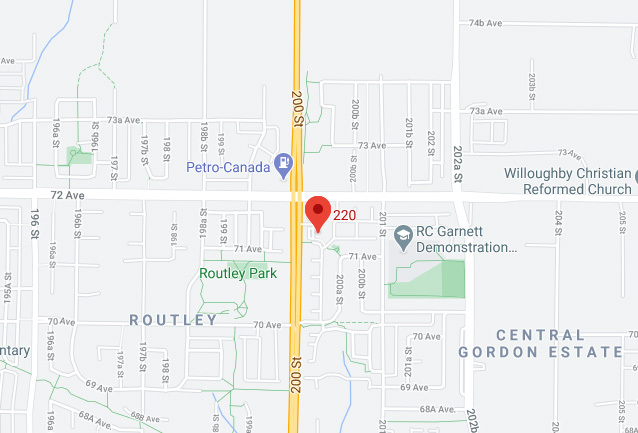 Located in Langley, BC, Child’s Play Pediatric Dentistry serves patients from Maple Ridge, Surrey, and nearby communities. Our doctors and team members look forward to welcoming your little one to our dental family. We’d love to help your daughter or son develop a healthy smile that she or he will love for a lifetime. Call and schedule a visit today!